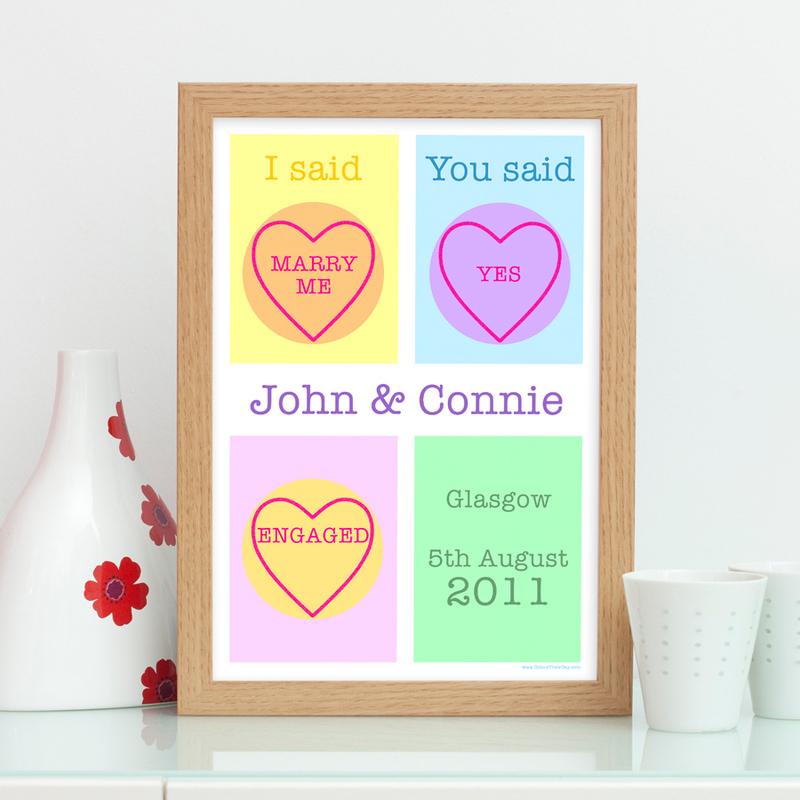 Celebrate popping the question to your sweetheart in style, with this gorgeous personalised engagement print. This is an ideal gift to give to your wife-to-be, as a treasured keepsake of this special day. The array of vibrant pastel colours are inspired by the feelings of saying those four special words. Enter the two names you would like on this print. Name 1 will be printed under the yellow rectangle and name 2 below the blue rectangle. Be the first to review “I Said You Said – Personalised A4 / A3 Engagement Print” Click here to cancel reply.